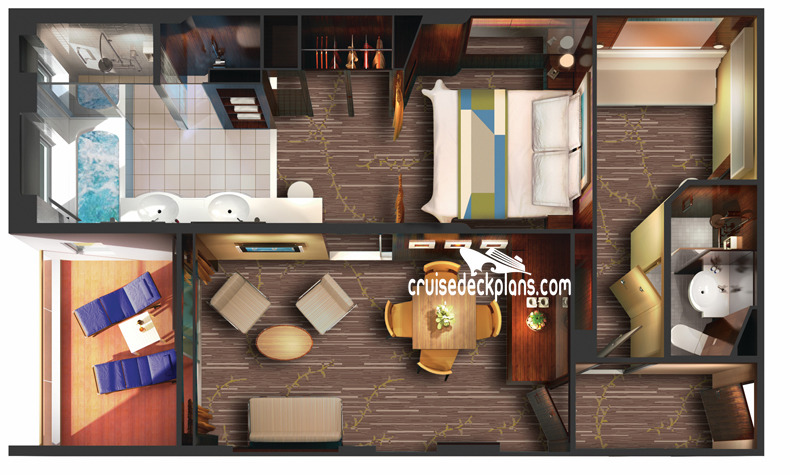 Cabin size ranges from 667-732 square feet. 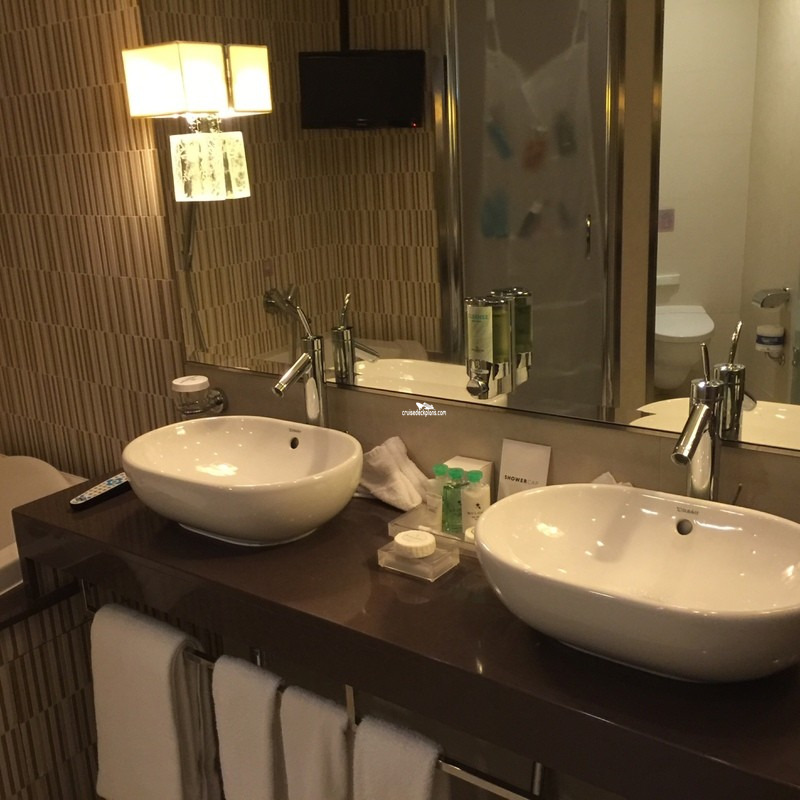 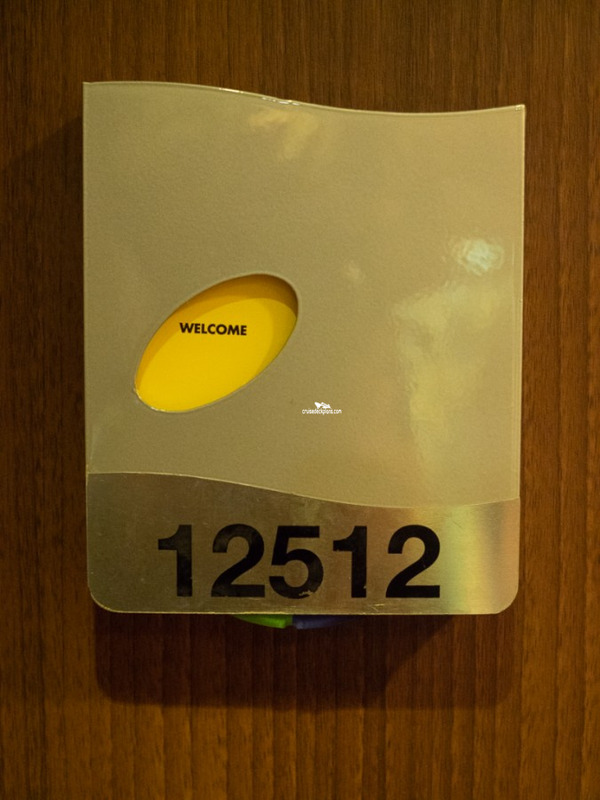 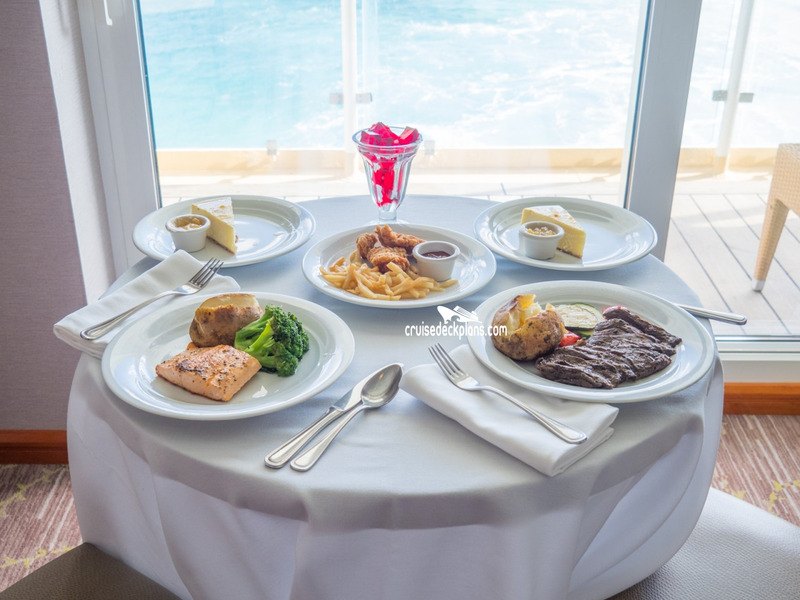 Amenities also include a distinctive key card, butler available to unpack luggage, bottled water, expresso/cappuccino machine, special suite room service menu, full in-suite breakfast menu, breakfast and lunch at specialty restaurant, fresh flower arrangement, and plush slippers and towels. 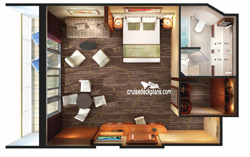 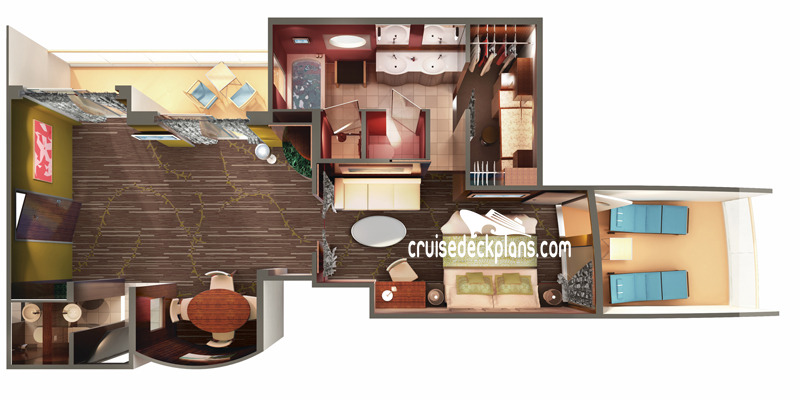 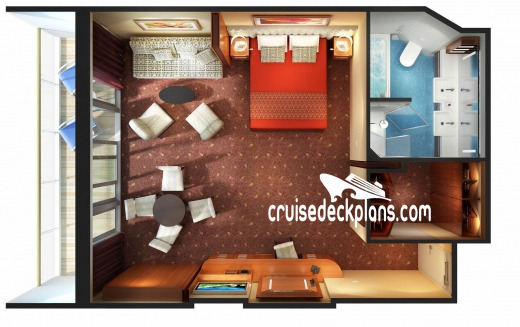 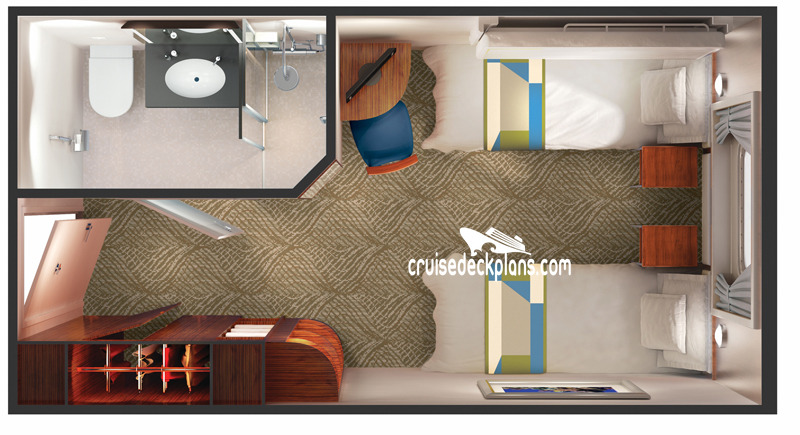 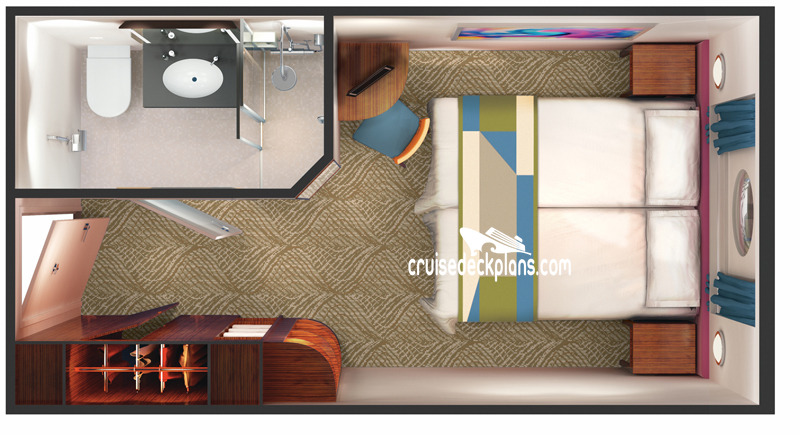 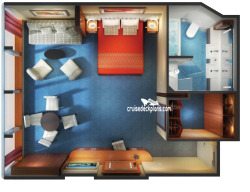 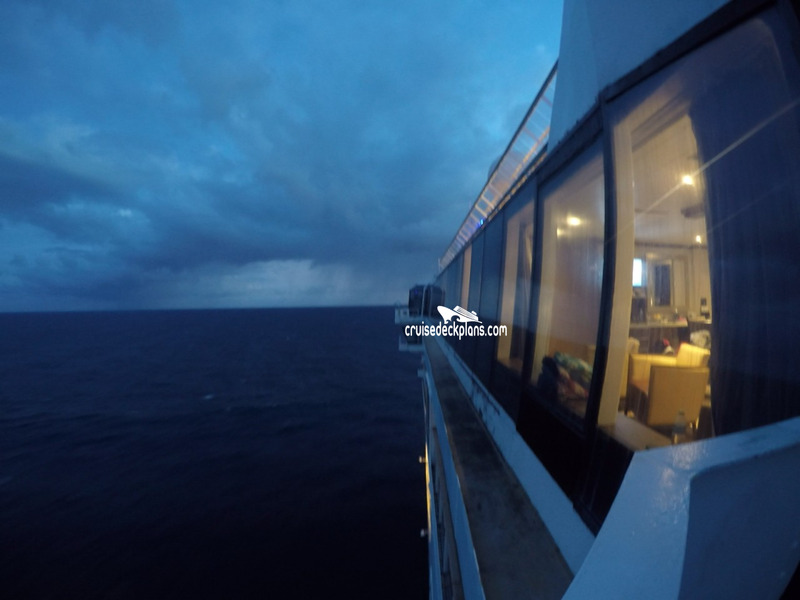 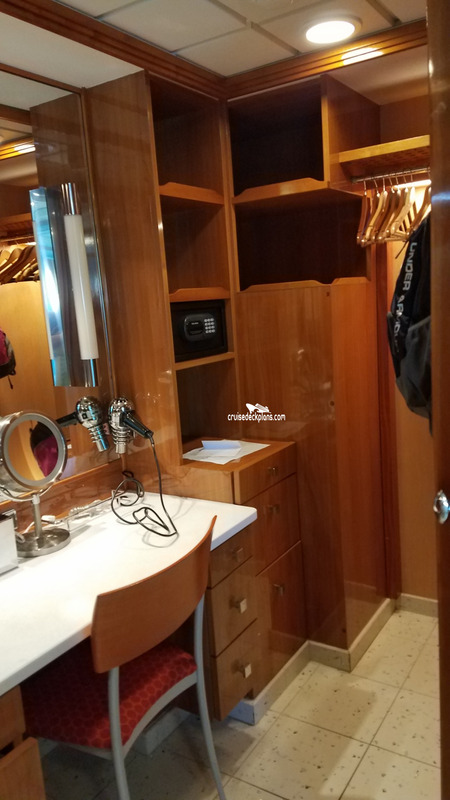 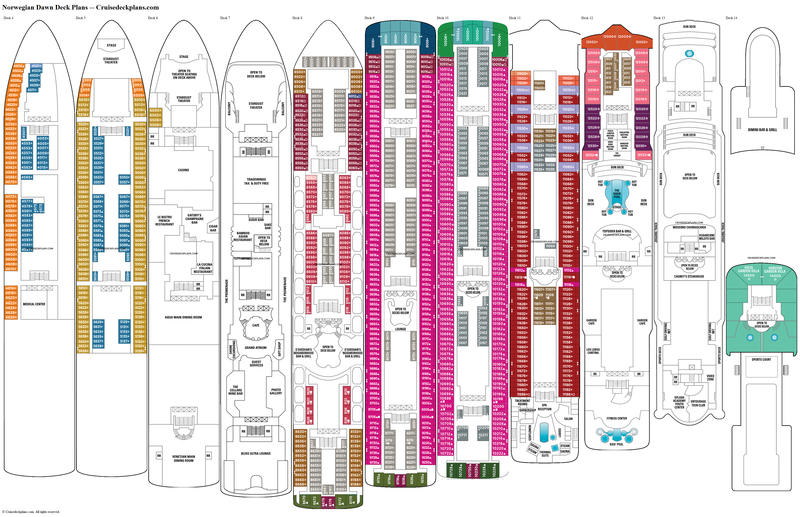 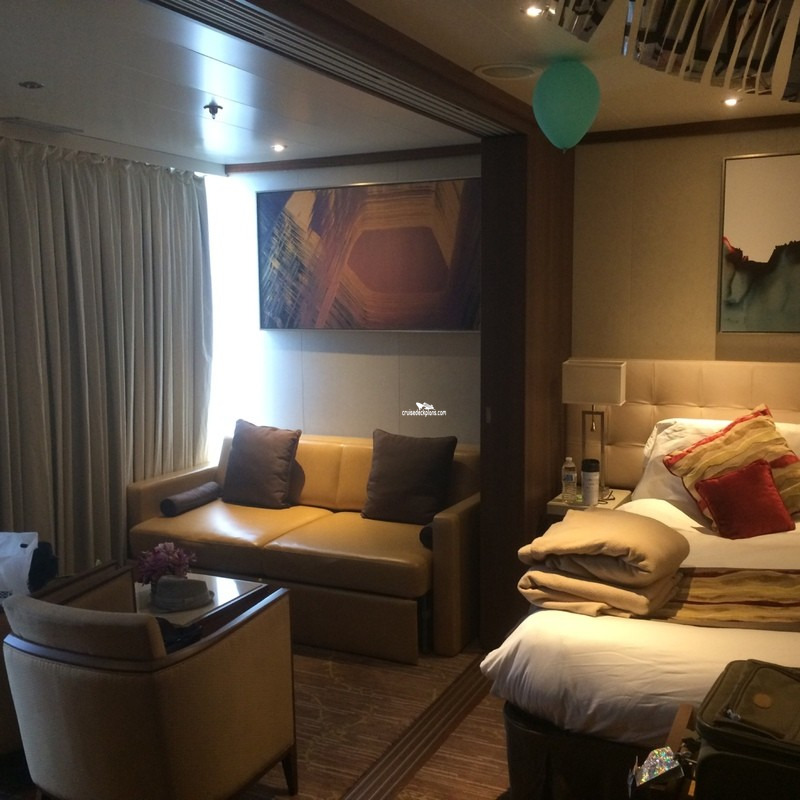 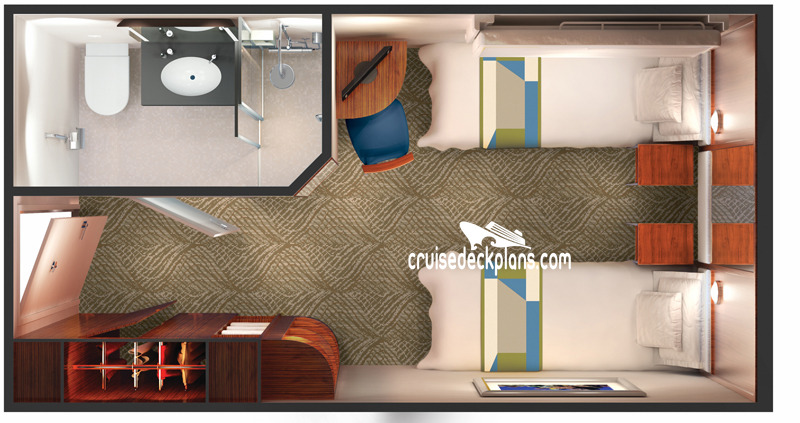 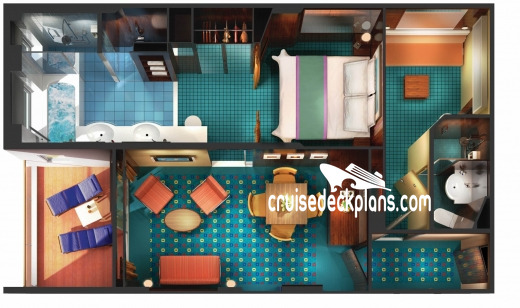 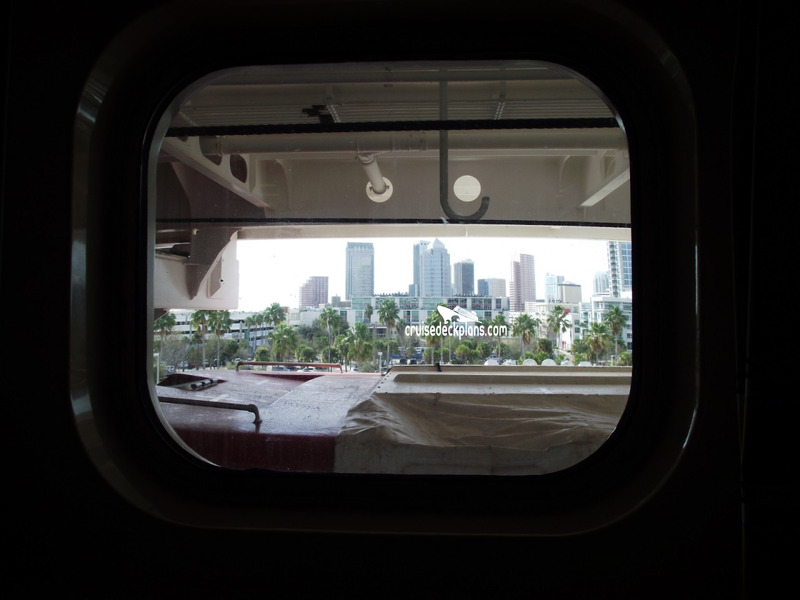 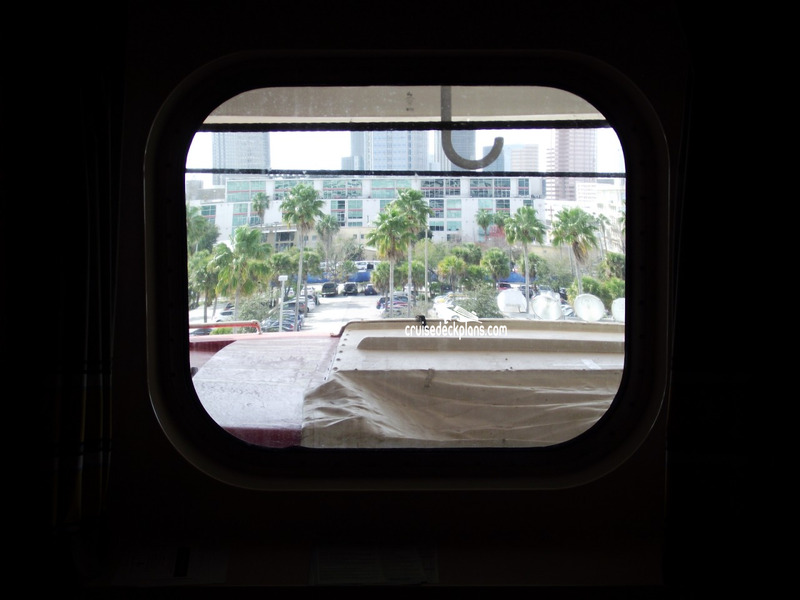 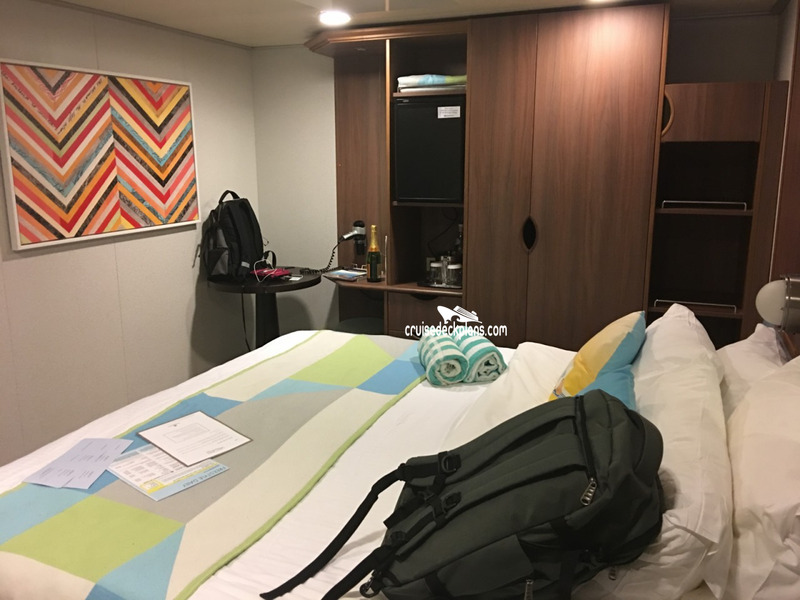 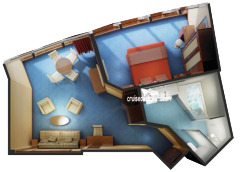 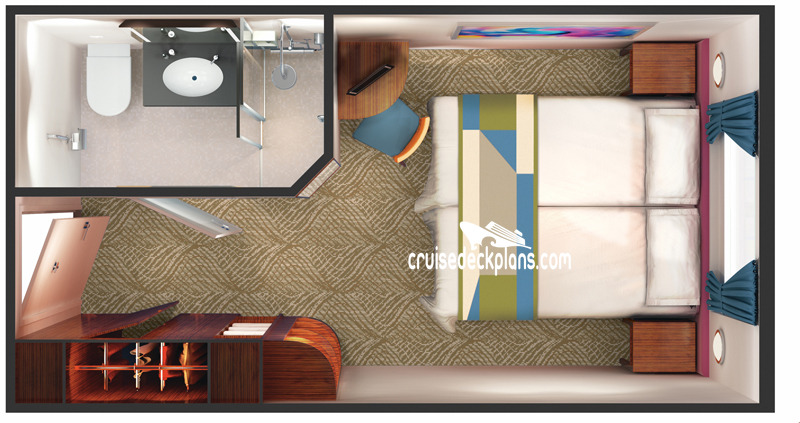 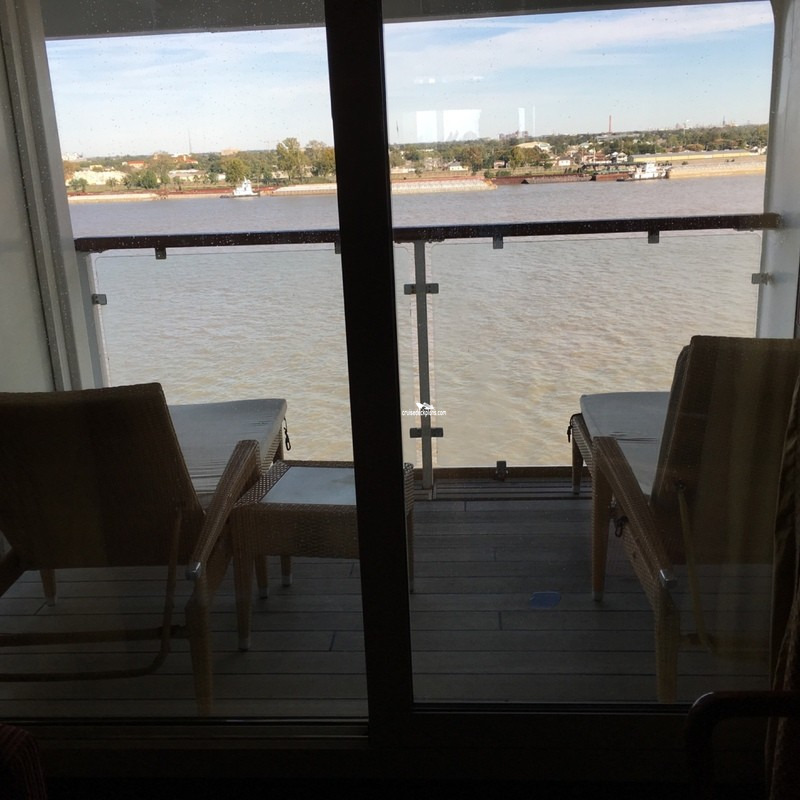 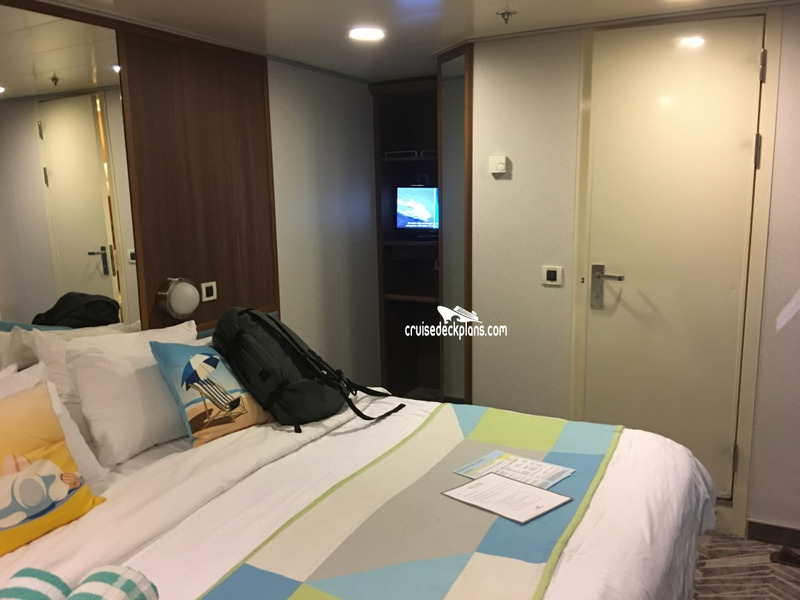 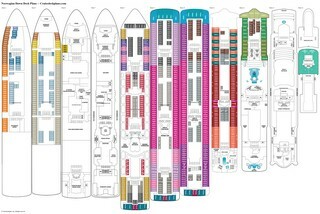 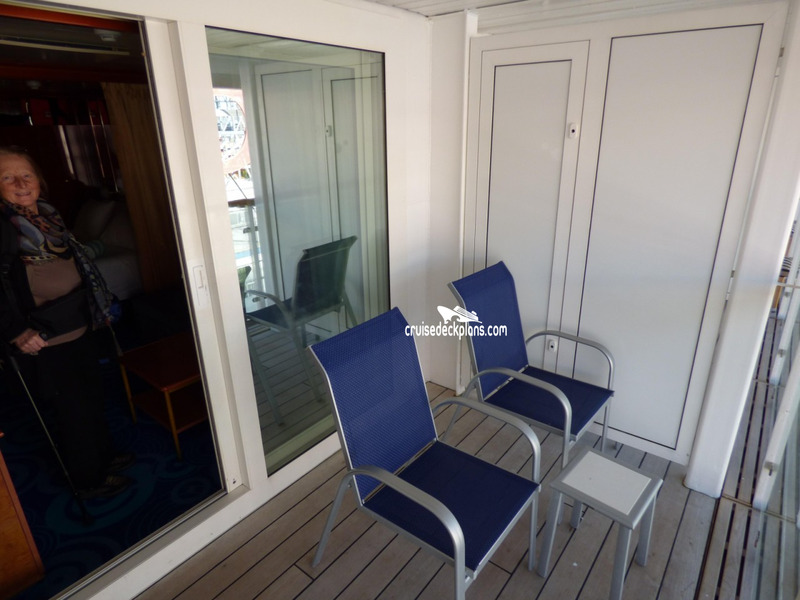 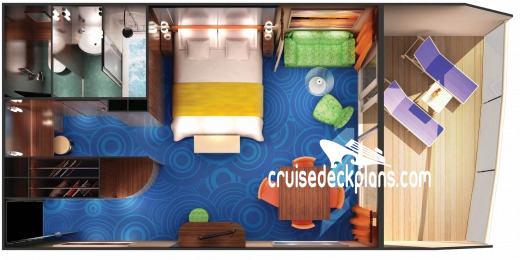 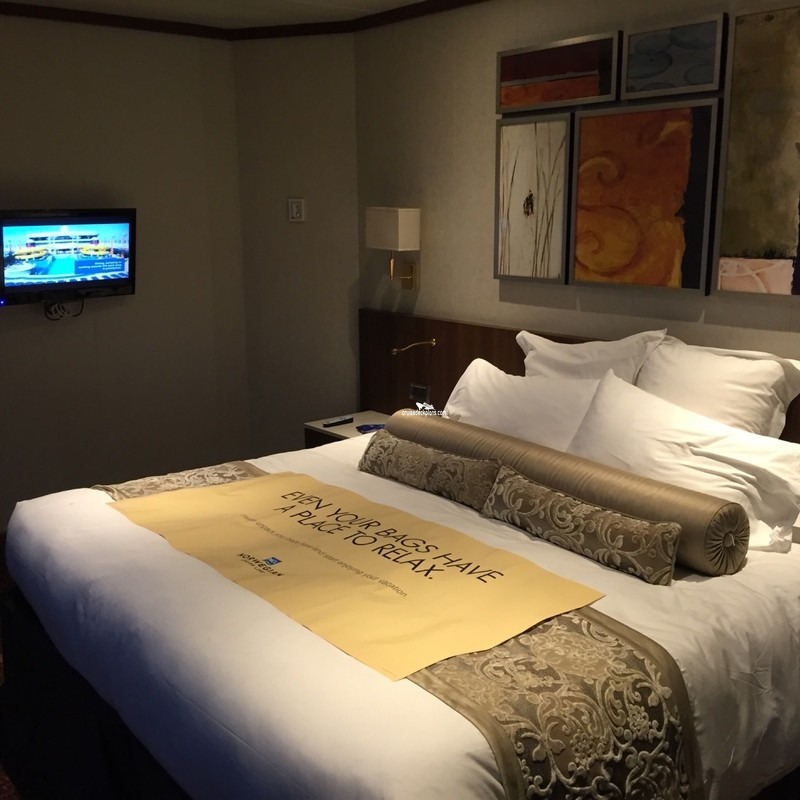 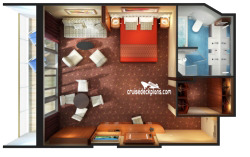 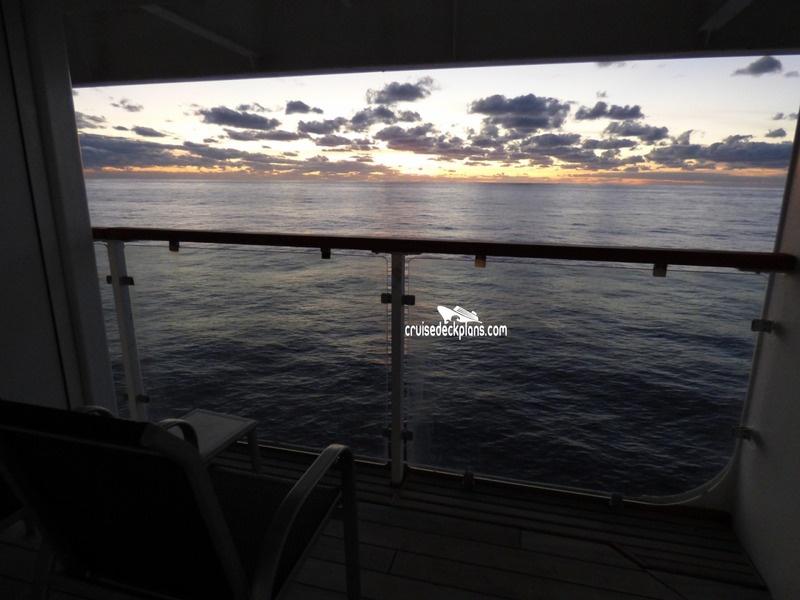 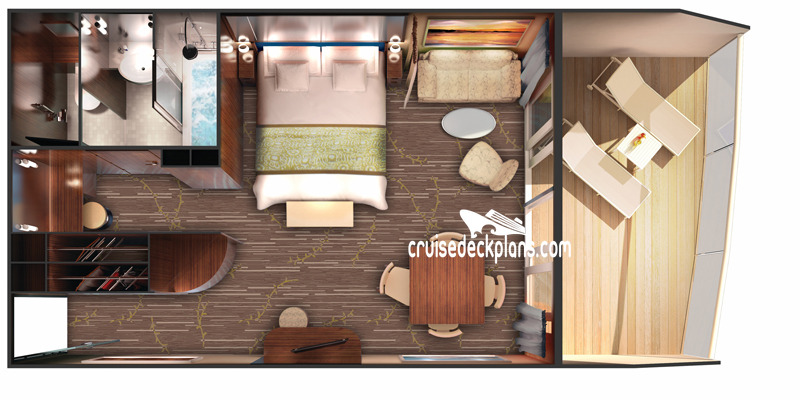 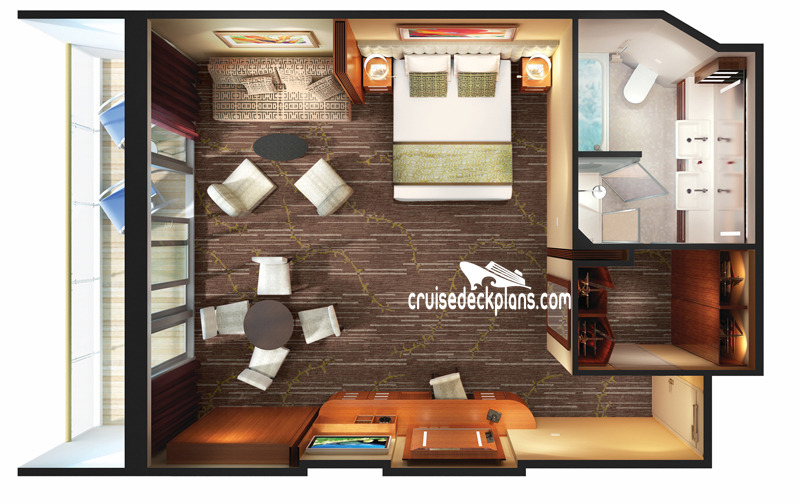 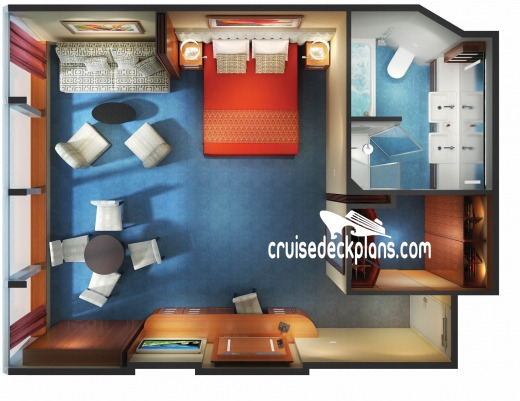 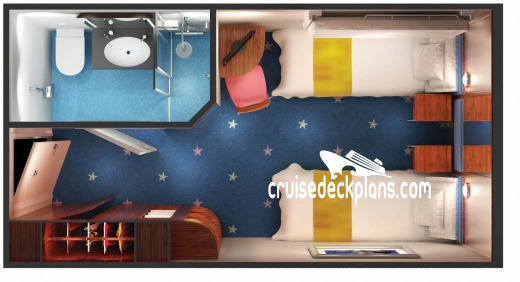 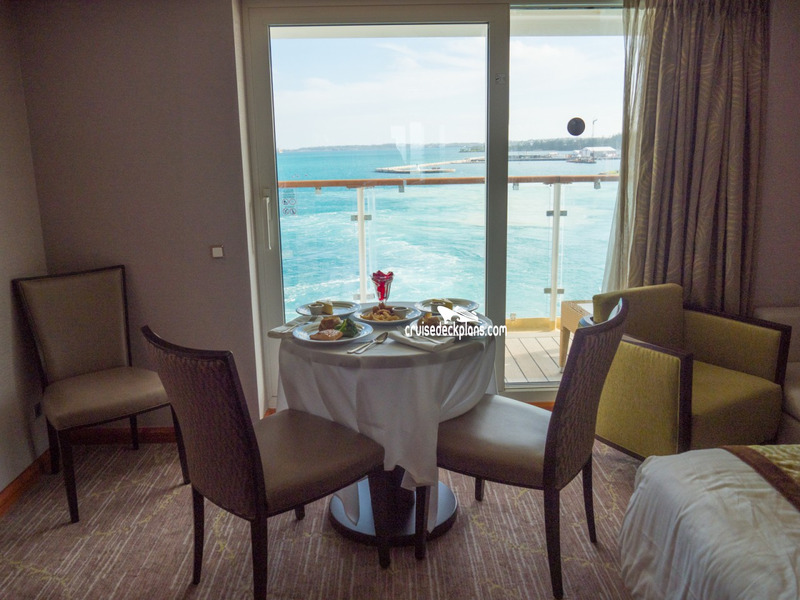 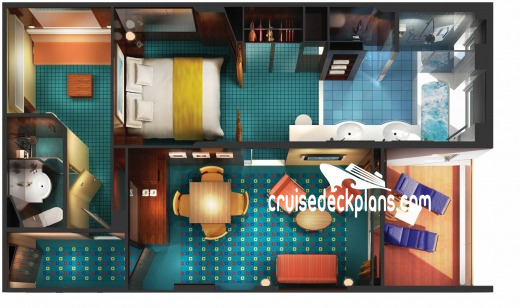 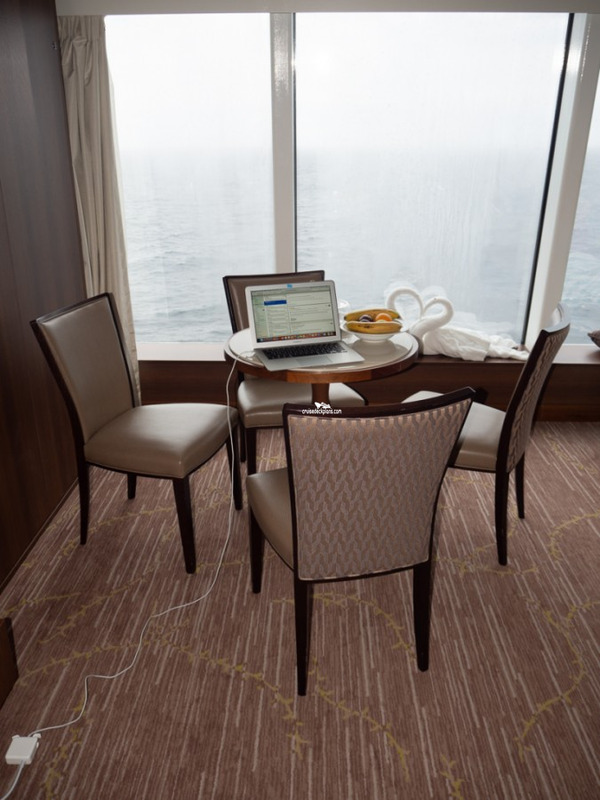 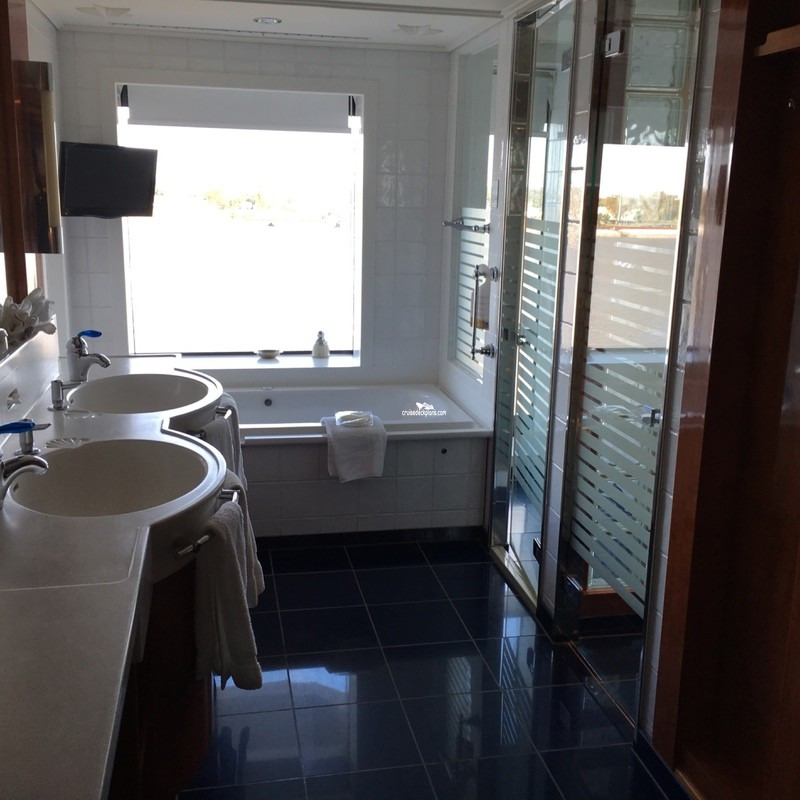 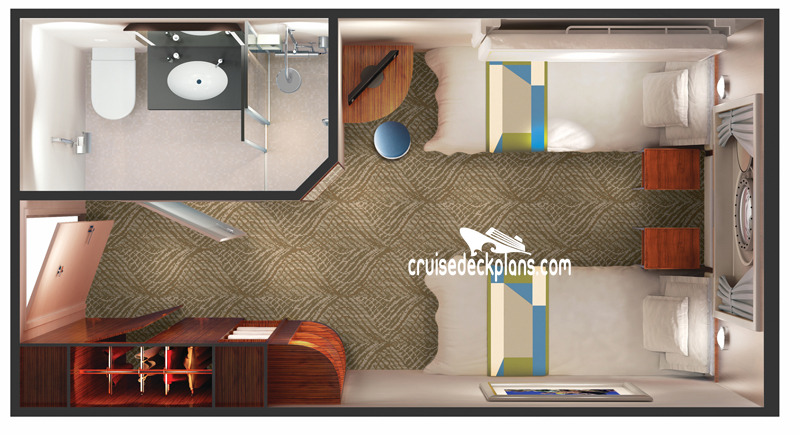 Each suite can be interconnected to a studio suite and balcony cabin. 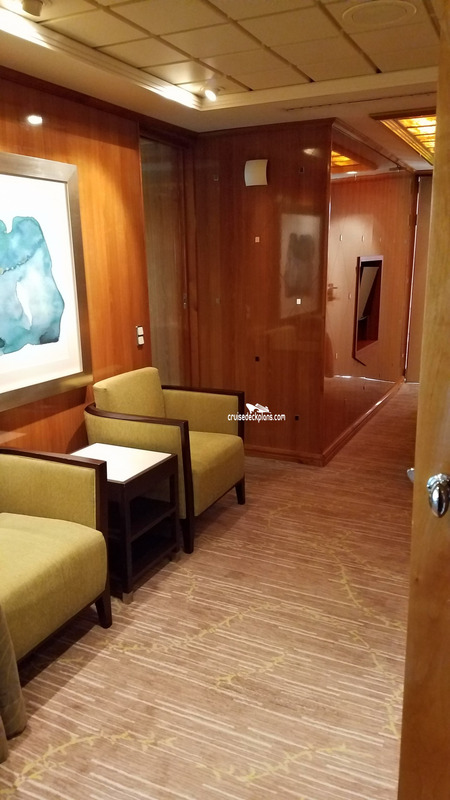 Amenities also include a distinctive key card, butler available to unpack luggage, bottled water, expresso/cappuccino machine, special suite room service menu, full in-suite breakfast menu, breakfast and lunch at specialty restaurant, fresh flower arrangement, and plush slippers and towels.